In the course of a career at the helm of companies including Google, YouTube and Twitter, Bruce Daisley has become fascinated by the culture of the workplace. And in his hugely popular podcast Eat Sleep Work Repeat, he has talked with leading experts about how best to make our jobs happier and more fulfilling. Now, in The Joy of Work, he will be sharing the fruits of his discoveries. Its succinct chapters range across all aspects of 21st-century office life, tackling the key questions and offering inspiration, empirically tested insight and down-to-earth practical answers in equal measure. Are lunch breaks for wimps, or do they actually make us more productive? Is it true that you can improve team performance simply by moving the location of the kettle or coffee machine? And what is a Monk Mode Morning, and why do people swear by it? 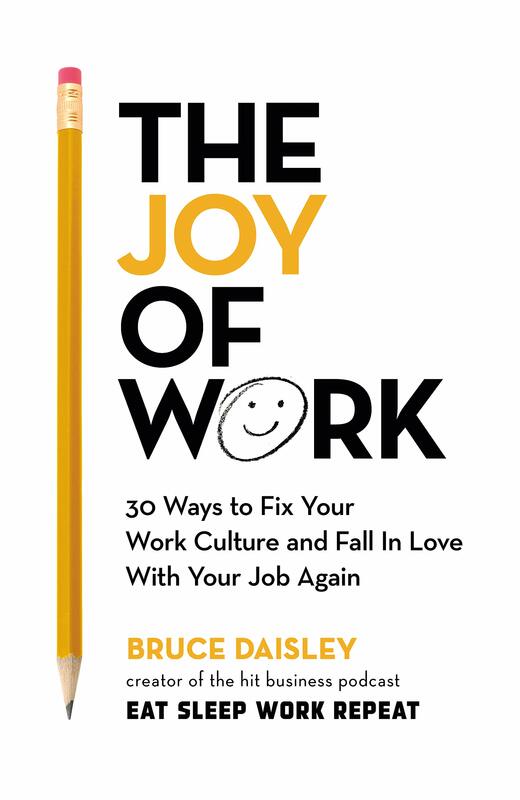 If you’re not happy with the status quo, if you think things could be done better, if you’re seeking greater fulfilment at work and a life that is a little less fraught, The Joy of Work will point the way.